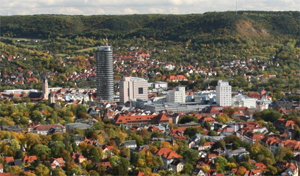 Jena is the second largest city in Thuringia, Germany. It is known as a centre of optical industries and companies. Together with Erfurt and Weimar it forms the central metropolitan area of Thuringia. It is also an centre of education an research. The University was founded in 1558 and is one of the ten oldest universities in Germany. It is renamed after the german writer Friedrich Schiller who was teaching there as a proffessor of history. The university has been at the centre of the emergence of German idealism and early Romanticism. Mathematics exists at the Friedrich Schiller University since its foundation in 1558. 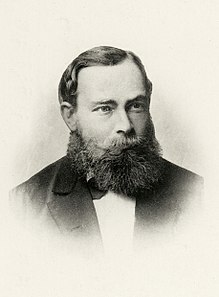 One of the most important persons were Friedrich Ludwig Gottlob Frege. His modern logical theories at the beginning of the 20th century gave the theoretical principles for the subsequent development in informatics. The hostel is located in the centre of the city next to the campus of the university and to the historic destrict of Jena. All rooms are fully furnished and non smoking rooms. The toilets, showers and kitchen are common rooms. The contestants sharing dorm rooms. Bedclothes and breakfast are included. The hostel has internet access. You can check in from 3 PM untill 9 PM.